Hollybeary Creations : YNS DT Dare!! Happy Wednesday everyone.. This month the Design Team at Your Next Stamp was challenged to create a Spring project. 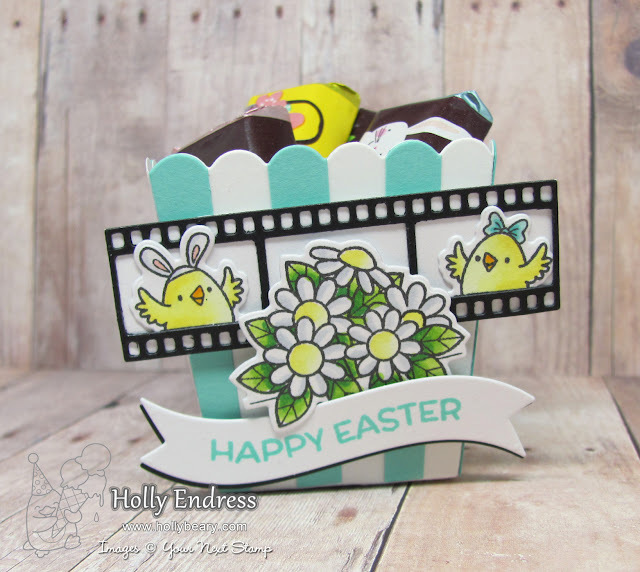 I created a cute mini popcorn box using the new popcorn box die and the All Aboard Bunch of Happiness and All Aboard Spring Carts Sets. Be sure to head over to the YNS Blog to see more of the Design Team's projects and leave a comment while you are there for a chance to Win a set of your choice! You can see how I created the Project in the Video below! WOW Holly, this is cute. Super cute Holly how you decorated the little treat box. You are so creative and love the mix of dies and images!! Great card to bring cheer to all of us! !